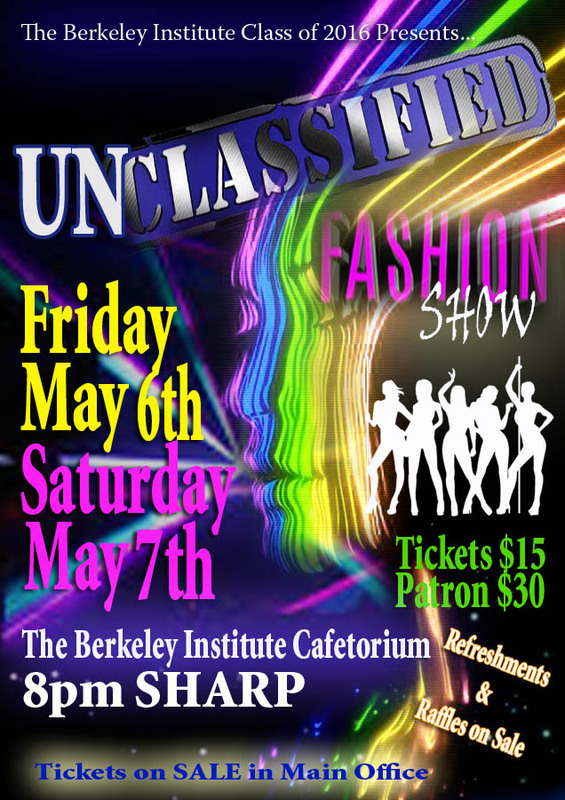 The Berkeley Institute will host their annual Senior Fashion Show ‘Unclassified’ on Friday, May 6 and Saturday, May 7. The event will take begin at 8.00pm on each night, with tickets, which cost $15 or $30 for patrons, available at the school office. A spokesperson said, “The Berkeley Institute will host their Annual Senior Fashion Show “Unclassified”, a show with a mix match of scenes that truly depicts the overall character of our senior class. The models are a group of students who express individuality and have found creative ways to come up with modern, trendy fashions. “‘Unclassified’ will be held in The Berkeley Institute Cafetorium, on Friday May 6th and Saturday May 7th 2016, with each show beginning at8.00pm. Tickets cost $15, or $30 for patrons, and are available at the school office.